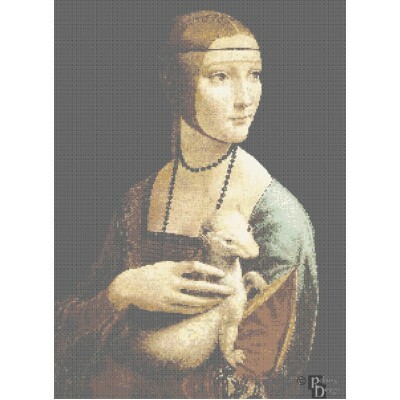 Beautiful reproduction of Leonardo da Vinci's 1490 portrait.Designed by a professional artist/craftspersonFinished size is approximately 14" x 19" when worked on 16 count aidaPattern is 223 x 304 stitchesPicture is composed of 37 DMC colors.THIS IS NOT A KIT.Each pattern contains* Color picture of t..
Beautiful reproduction of illustrator Jessie Willcox-Smith's 1932 cover of Good Housekeeping magazine of a baby and puppy in a washtub.Designed by a professional artist/craftspersonFinished size is approximately 14.5" x 15.25" when worked on 14 count aidaPattern is 201 x 214 stitchesPicture is compo..
Beautiful reproduction of illustrator Jessie Willcox-Smith's 1910 painting of a child at the sea shore.Designed by a professional artist/craftspersonFinished size is approximately 11.5" x 16.25" when worked on 16 count aidaPattern is 159 x 227 stitchesPicture is composed of 47 DMC colors.THIS IS NOT..
Beautiful reproduction of illustrator Jessie Willcox-Smith's 1921 painting of a mother and child.Designed by a professional artist/craftspersonFinished size is approximately 12" x 17.25" when worked on 16 count aidaPattern is 193 x 276 stitchesPicture is composed of 46 DMC colors.THIS IS NOT A KITEa..
Beautiful reproduction of illustrator Jessie Willcox-Smith's 1917 painting of a boy and an injured sea gull.Designed by a professional artist/craftspersonFinished size is approximately 13" x 17" when worked on 16 count aidaPattern is 202 x 267 stitchesPicture is composed of 47 DMC floss colors.THIS ..
Beautiful reproduction of illustrator Jessie Willcox-Smith's 1920 painting of a child at the sea shore.Designed by a professional artist/craftspersonFinished size is approximately 11" x 16.25" when worked on 16 count aidaPattern is 170 x 226 stitchesPicture is composed of 45 DMC colors.THIS IS NOT A..
Gorgeous and faithful reproduction of Maxfield Parrish's famous painting "Daybreak". 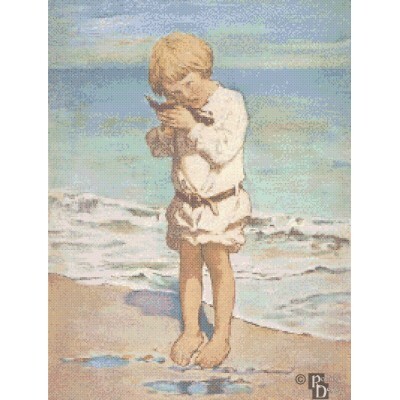 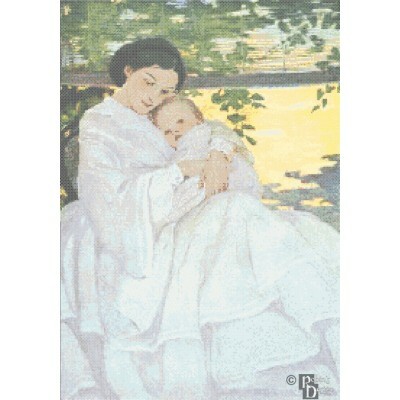 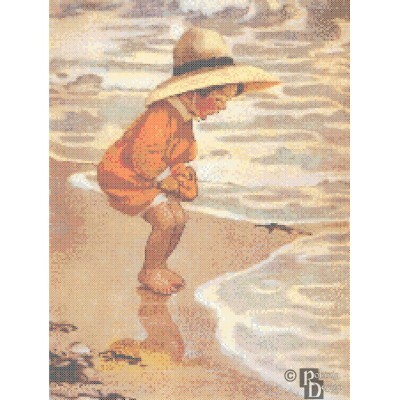 Painted in 1922, this is probably his best known work. 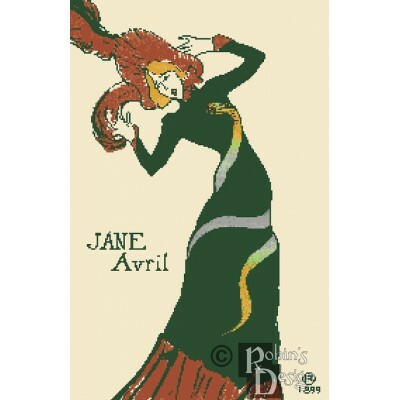 It is reported to be the most popular art print of the 20th century.Designed by a professional artist/craftspersonFinished size is approximately 16" x 9" when..
Beautiful and faithful reproduction of French Post-Impressionist artist Henri de Toulouse-Lautrec's poster of the dancer Jane Avril. 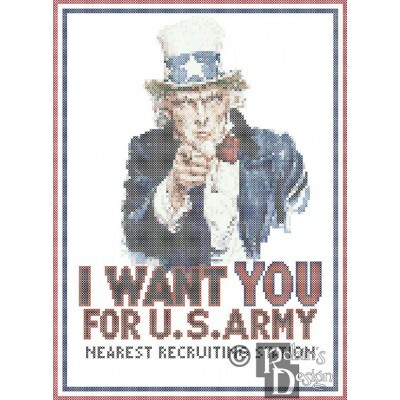 This pattern was hand designed by a professional artist/crafts personFinished size is approximately 13.5" wide x 20.5" high when worked on 14 count fabric (187 x 287 ..
A faithful reproduction of J. M. Flagg's iconic 1917 recruiting poster. 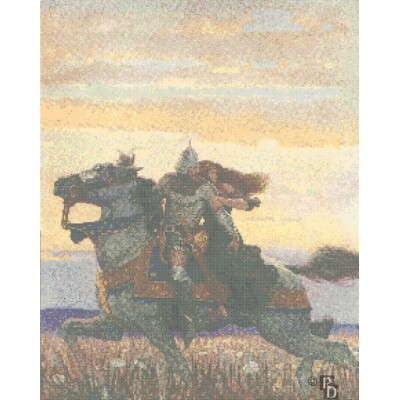 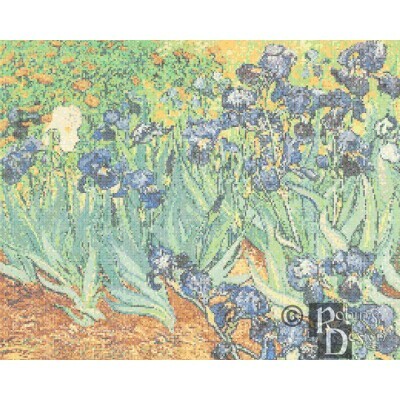 This poster was used to recruit troops for both World Wars.This pattern was hand designed by a professional artist/crafts personFinished size is approximately 9" wide x 12.25" high when worked on 14 count fabric (125 x 170 stit..
Beautiful and faithful reproduction of the great Post-Impressionist painter Vincent Van Gogh's "Irises in a Field".This pattern was hand designed by a professional artist/crafts personFinished size is approximately 19" wide x 15" high when worked on 14 count fabric (262 x 210 stitches) The image is ..
A faithful reproduction of J. Howard Miller's iconic 1942 poster. 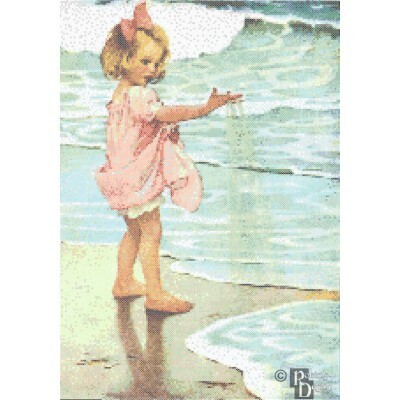 This poster was used for World War II home front effort. 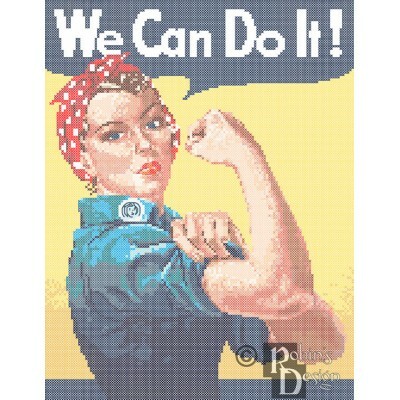 The image became widely known as "Rosie the Riveter".This pattern was hand designed by a professional artist/crafts personFinished size is approximately 9.25" wide x 12" high ..